The command noted that the purported arrest of Amaechi was intended to cause a breakdown of law and order in the state, assuring that the existing peace and security would not be truncated. 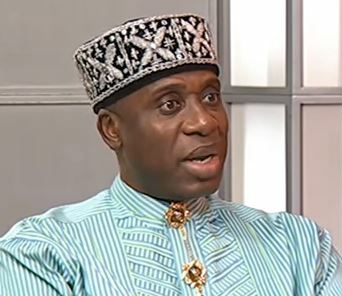 The PPRO stated: “It has become increasingly necessary at this stage to put the records straight and state unequivocally as follows: That the ex-governor of Rivers State and Minister of Transportation, Chibuike Amaechi, was never arrested by the Commissioner of Police, Rivers State Command or any security agency for that matter, as reported. “That the general public is hereby enjoined to disregard and discountenance the above news report as being mischievous, ill-conceived, diversionary and only intended to undermine the security situation in the state and harass the Nigeria Police Force and the person of the ex-governor and Minister of Transportation. “The Commissioner of Police wishes to assure the public that there is no cause for alarm, as the state is peaceful and all business activities are going on peacefully. “The command under the watch of the Commissioner of Police, CP Usman Belel, is committed to ensuring that the existing peace is sustained. “Consequently, the commissioner of police has ordered an immediate investigation into the said news report with a view to bringing anybody or group found complicit to justice,” Omoni stated.